Videos and Photo Galleries – See the Individual Campaigns in the Campaign Section for in-depth information on each campaign and more photos. Elphinstone Blockade 09|09|16 from rarities.mp4 on Vimeo. Roberts Creek, Sunshine Coast, British Columbia. September 9th, 2016. 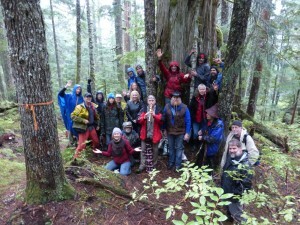 Police respond to a court injunction against an ongoing logging blockade on Mount Elphinstone. Concerned citizens are hoping to protect this area: it’s one of the older easily accessible forests on the Sunshine Coast. The BC Government considers it a “blue-listed ecosystem,” which, in their own terms, means that it’s an “ecosystem that is of special concern” as well as “formerly vulnerable”. It is also a popular recreation area, for locals and tourists alike, with mountain bikers, hikers, dog walkers, mushroom pickers, artists, and others frequenting the area every-day year-round. The iconic mountain bike trail Twister, which runs next to Mach Chicken, is in the middle of this proposed cut-block, and the cut-block is within the proposed area for a much needed expansion of the Mt. Elphinstone Provincial Park from a mere 240 ha to 2000 ha. Biodiversity and tourism are both on the chopping block, without community consent. If this concerns you, consider making your voice heard and/or body seen. 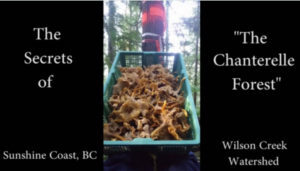 Elphinstone Logging Focus takes us on a hike through “The Chanterelle Forest” on the Sunshine Coast, BC. This gem is a prime area for numerous types of wild mushrooms, and we had David Piasta from the group “SHROOM” along with us to share his knowledge on wild foraging. With its proximity to Wilson Creek, the fact it’s never been logged, and the potential to be a commercial mushroom area, this forest needs protection. Many thanks to Tim and Thilo from the Band B.E.A.R for the October 5th concert in the forest they put on to support the Protection of the Dakota Bowl Bear Sanctuary. There is a full length professionally edited video of the day in the works. Below are uncut short videos of the day taken by supporters – more videos will be added soon. 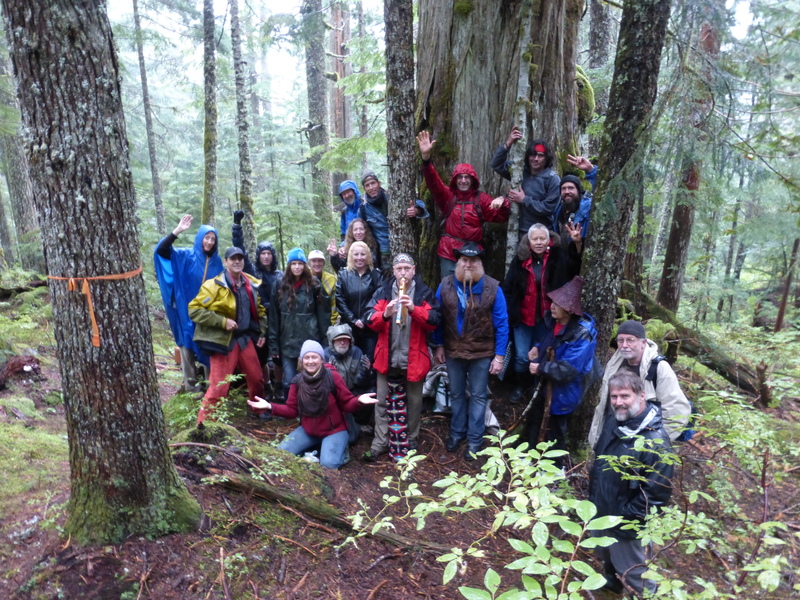 Note: This Concert was put on in the Roberts Creek Headwaters Ancient Forest – Thanks to B.E.A.R. and others ELF recently received notice of the protection of this forest. So this is very good news. However, the Dakota Bowl Bear Sanctuary, that lies very close to this forest is now up for sale by BCTS and therefore is extremely threatened. Help us and take action today. 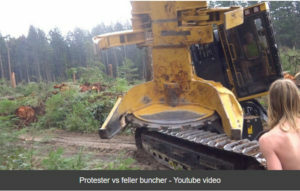 For More Details Click Save the Wilson Creek Forest in the Campaigns section. For More Details Click Here: The Day Rd Forest in the Campaigns section.